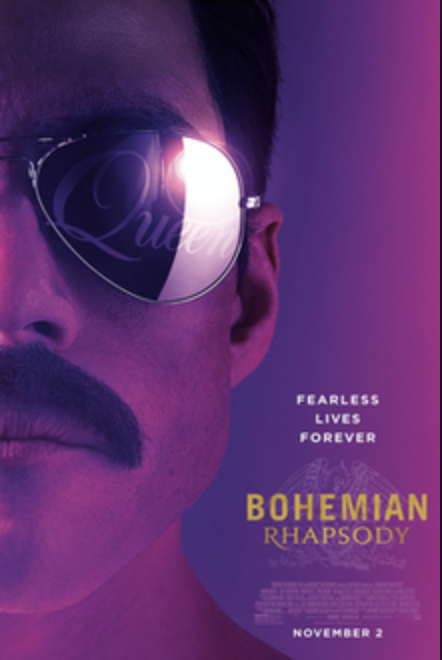 After a long and arduous eight year journey to the big screen, the Queen biopic “Bohemian Rhapsody” has finally been released to much controversy. My personal take of the movie is that, on the whole, the movie was very good. Rami Malek as Freddie Mercury was incredible, someone would need insane hearing and knowledge to distinguish his voice from Mercury’s. The rest of the band was also great; every actor dove completely into each role, transforming into each artist seamlessly and perfectly. The story itself was also good, going into depth on the band’s biggest hits like “Bohemian Rhapsody”, “We Will Rock You” and “Another One Bites The Dust.” Also, learning how the band was created and how they started out really allowed me to feel the friendship the bandmates had and how it affected them when that friendship was tested. The movie did quite well at following the many aspects of the band’s life and Mercury’s life in particular. From his relationship with Mary Austin to his battle with drug abuse then his turmoiled sexuality and finally his fight against AIDS. It also captured the mood of the band incredibly, showing how they were back of the room types making music not to any formula but to their own free will. The only major problem I had with the film was slight inaccuracies with the history of Mercury in specific and the conclusion at the Live-Aid concert. I understand that for dramatic effect, something big had to happening at the end, but giving Mercury AIDS two years early doesn’t really makes sense to me, as well as making seem as if the band had been separated for years prior to Live-Aid when in reality they had been touring two months prior. The concert also featured a lot of crying people for no particular reason, nobody knew that Freddie had AIDS and the event wasn’t a sad one, it was one of the biggest concerts of the decade. In summary, this is a great movie that is slightly dragged down by a weird ending and slightly off facts. Overall, I’d say “Bohemian Rhapsody” was an 8/10.